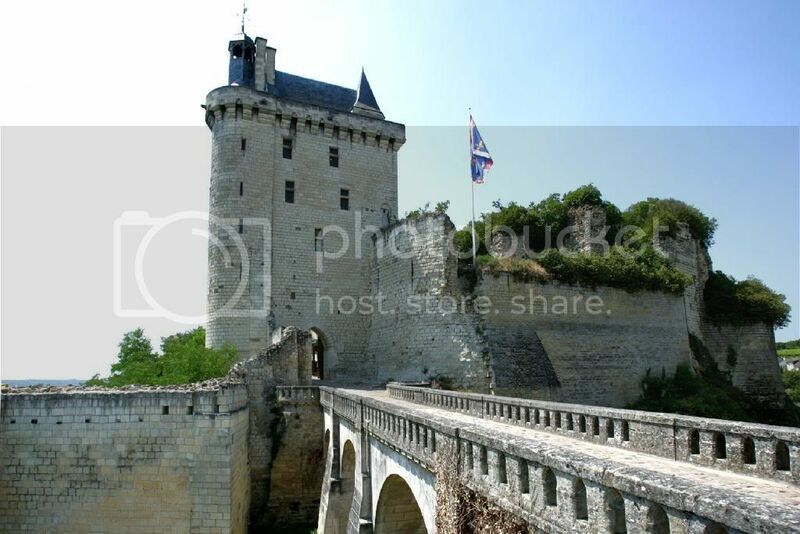 Fortified in the Tenth Century CE, it became one of the primary Angevin castles, and a frequent residence of England's King Henry II, who died here, on July 6, 1189. In 1307, when King Philip IV (the Fair) of France brutally suppressed the Knights Templars, some were imprisoned here. A century later, it was home to Charles VII, Dauphin of France, while in exile from Paris, during the Hundred Years' War. On March 8, 1429, Joan of Arc was granted audience, but Charles disguised himself among his courtiers. That she wasn't fooled, and picked him out of the crowd, helped convince Charles to follow her advice, go to Reims to be crowned king, and aggressively pursue the expulsion of the English from France.